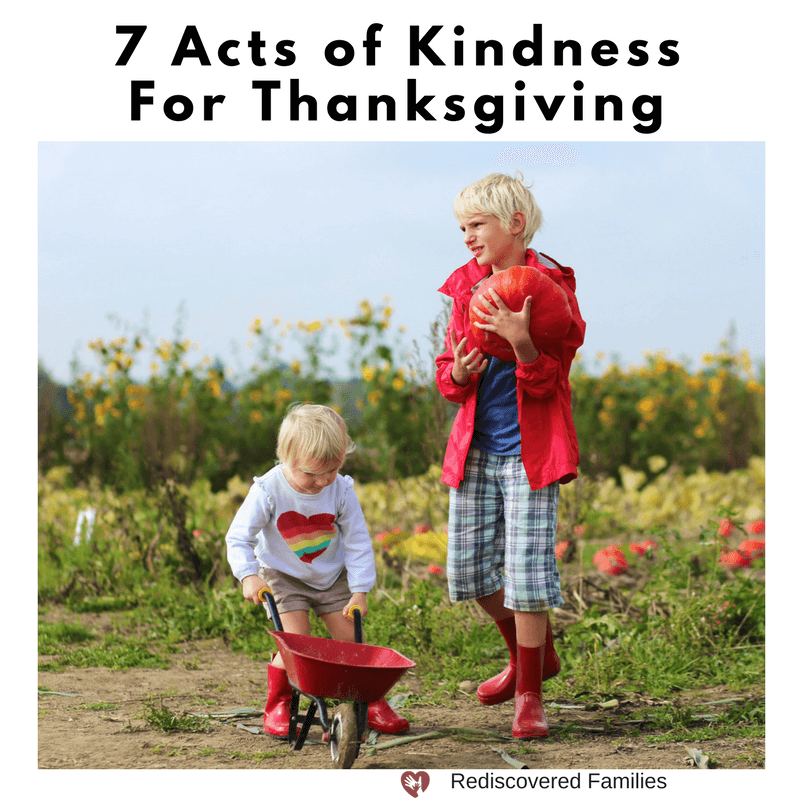 Here’s 7 Acts of kindness for Thanksgiving to help your kids practice being kind. 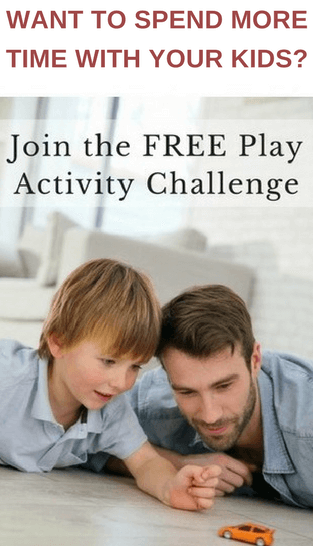 Includes free printables, ideas, crafts, and even games. 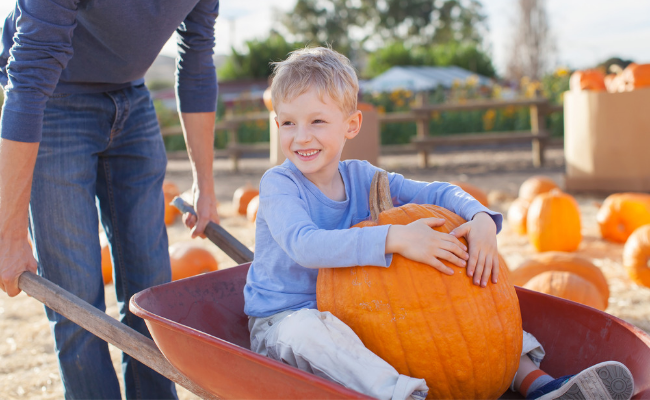 Enjoy some fabulous Thanksgiving activities and join our conspiracy of kindness with your kids. I love Thanksgiving! It was the first holiday that I celebrated when I first moved to Canada. It’s been my favorite ever since. While we celebrated harvest festivals in England it wasn’t quite the same. There is something special about putting aside some time to give thanks for all our blessings. When my boys were growing up I found that Thanksgiving was the perfect excuse to flex some kindness muscles. I was on a mission to raise kind kids, so we used the holiday to let our kids experience how good it feels to help someone else. After all one of the best ways to give thanks for your blessings is to pay it forward with small acts of giving. To help you I have created a short list of Acts of Kindness with a Thanksgiving theme. I have kept them simple and doable. Why not read the list out to your family and see which ones they would like to do in the coming weeks? As a family make a list of people who help others in ways are easily overlooked. These might include a cashier, mail carrier, or garbage collector. Write them a thank you note. These cute fingerprint notes are quick and easy to make. Find a way to deliver the notes. Thanksgiving is about counting our blessings and taking the time to say thank you. Help your children to make gifts to acknowledge the love that others show them. These thankful hearts from Lasso the Moon are adorable. Love the idea, but can’t face the sewing part? Simplify by having your kids cut out and decorate paper hearts to give away. I really like this Random Acts Of Kindness Treasure Hunt. Each of the six clues in this treasure hunt kit invites kids to participate in a random act of kindness. I think it would be a lot of fun and the clues are ready to print. The Dating Divas have a whole list of random Acts of Kindness to do for Thanksgiving, as well as, tickets to leave at the scene of the act. 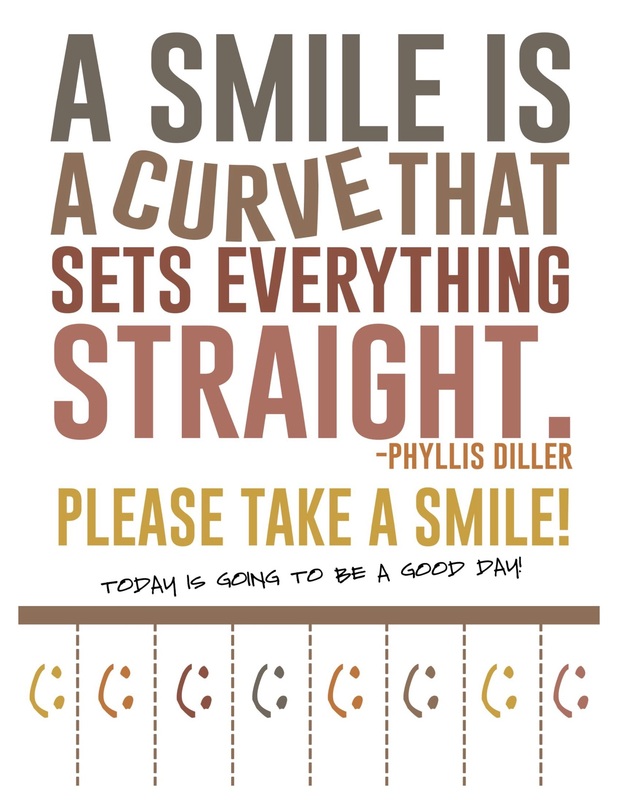 some of them are as simple as printing this Take a Smile poster to put it up in your community. 5. Thanksgiving feasts have always been an important part of the celebration. It is the perfect time to help feed families who are hungry. Most food banks welcome gifts of canned goods that can be used for holiday meals. Go shopping with your family and challenge everyone to find non-perishable items like canned pie filling, cranberry sauce, gravy mix, pre-packaged stuffing, or chocolates that can be gifted to the food bank. Go together to drop them off at the food bank. 6. Make Thanksgiving cookies or treats and drop them off at the firehouse, police station, or hospital. It is a lovely way to acknowledge those who serve the community during the holidays. Use these free Thanksgiving printables to add tags to your gifts. 7. Do you know someone who lives far away from family and friends? Invite them to come over and enjoy a Thanksgiving meal with your family. These are just a few ideas. Do you have any to add to the list? Please share your ideas in the comments below. This past month for my birthday I was going to try and do three acts of kindness to others on that day. I came up with ideas, but when it came to the day, I forgot to preplan the day before. I am not one to have random baked goods in my house. I enjoy baking, especially the eating, so I keep consumption down by not baking. The day before my birthday, I had one wild blueberry muffin left. That day there was also an accident on the highway north of my house. A man was redirecting traffic when I left for town that afternoon and was still there when I cam home later the same afternoon, about 4 hours. It wasn’t particularly cold, but it wasn’t tue nicest day to be standing on a highway, so I brought him a coffee with choice of international delight creamer and the last of my muffins. He was quite surprised that I stopped to think about him and brought him a coffee. He even brought the mug back to my house when he was finished. Sometimes acts of kindness can be spontaneous. Sometimes they require planning. If you’re ready to give, opportunities will present themselves. Hi Nadine! I love the idea of spontaneous acts of kindness and you are right if you are open then opportunities will present themselves. BTW the pumpkins you brought in for story time today were a real hit. The children (and some adults) were so thrilled to take them home. That is one ginormous act of kindness that really had an impact. Always so thoughtful and practical. Love these 7 acts of kindness Sharon. Thanks for sharing and Happy Thanksgiving to you and your family! Thank you Kelvin 🙂 Thanks for sharing. Happy thanksgiving to you. I love your post. It is so easy to forget about the little things, the simple things. You are so right Corinna. Funny how those simple things are often the gateway to great happiness. Sharon, It’s so easy to become self-obsessed in these crazy times and forget about kindness. I love the way these 7 acts teach children the beauty of kindness plus they can be fun and heartwarming in themselves. 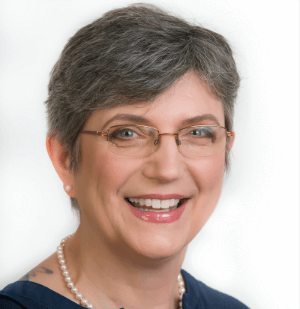 Sandra Pawula recently posted…How Do You Really Spend Your Precious Time? Thank you Sandra. CHildren tend to be instinctively generous. I fear we forget about that as we age. I love to affirm children’s generous nature in the hopes that they will continue as they grow up. Another winning post, Sharon, these are terrific suggestions of ways to express gratitude and kindness, at Thanksgiving and any time. These actions done by families with children brings so much love in all directions. Those hearts by Lasso the Moon (love the name) reminded me of smaller hearts I used to make with swirling colors of polymer clay. You are helping me sprout some ideas. Thank you! Ohh I like the sound of those hearts made with swirling colors of polymer clay. If you make some please post them somewhere I can see! I love the hearts Sharon! I will make these today with my daughter. We both love doing that sort of thing. We like to make a pictoral poster of the things we are grateful for. We do this as a family after dinner and then post it on the fridge for a while as a reminder. Good ideas there. Though we don’t celebrate thanks giving here, I have been trying to think of ways the children can give thanks in the lead up to christmas, I may use some of these ideas. I believe it is important to remember to give this message to children.